E Simpkins ( Joint Hon. Secretary), P Broadhurst, F Lock, A Ridley J. Cutting. 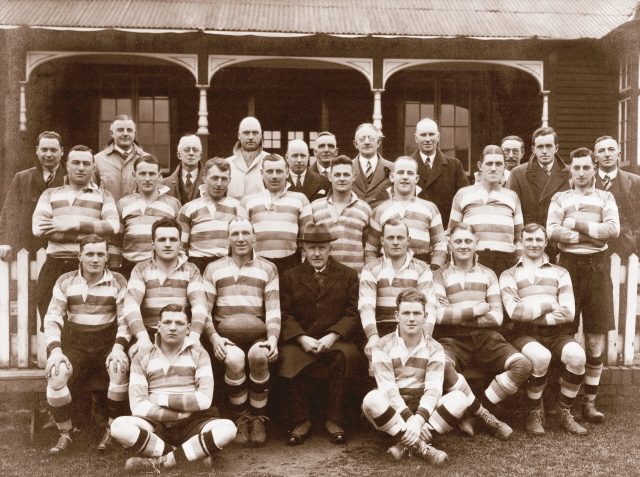 Second Row: R Banks, N Matthews, M Shaw (Captain), Alderman J Colmer (President), R Gerrard, D Wilson, W Hancock. Front Row: W Handford, S Williams.